Nkatiaso is a small community near Mesomagor. The only road into the village is a walking path through farm land. It still consists of mostly traditional bamboo, mud houses with thatched roofing. The population is approximately 150. 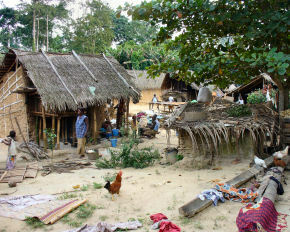 The inhabitants are originally from Gomoa Debiso but came to the area to farm. 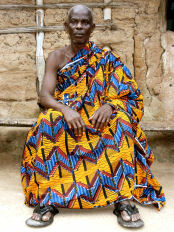 The first settler was Kweku Kywar, who served as the Nkatiaso chief until his death in February 2007. The current chief is Kojo Donkor, who was also one of the first settlers. 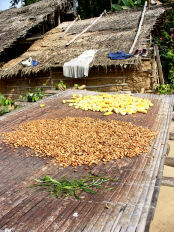 The main occupation in Nkatiaso is farming but a majority of people also process gari. 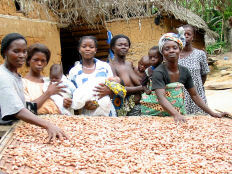 When walking through the community you are able to experience and participate in the various stages of gari processing. 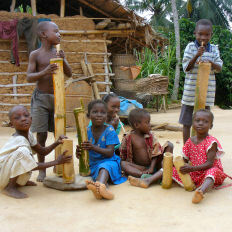 Making gari is a way to preserve cassava, which is a very common commodity in Ghana.